SuperSupplements provides support, inspiration, and information to its many valued customers. SuperSupplements provides an extensive catalogue of various natural products, supplements, and vitamins. The company only provides the finest and purest supplements, vitamins, beauty/personal care products, and sports nutrition available. SuperSupplements has a number of retail stores in Washington, Idaho, and Oregon. Customers may visit these stores and receive phenomenal personal attention from employees that have received exhaustive training in their field. In addition, customers may shop on the SuperSupplements site founded in 2010. SuperSupplements is dedicated to providing low prices and great value on a wide selection of high quality products in store and online. The company has retail locations in three states including Idaho, Oregon, and Washington. If you happen to live in one of these states, then you may be in close proximity to one of their stores. You can determine if that's the case by simply using the store locator feature on the website. While on the site, it's a good idea for visitors to check out the blog which offers plenty of helpful information. Some of the articles cover topics such as reducing stress and choosing the right protein supplement. The blog is also a place where they post Super Supplements deals every so often. If you're looking for deals on a regular basis, you can look right on the main website. There is a coupons and promos section that changes on a regular basis, so make sure that you check back often. It's also a good idea to join their newsletter. They send out product updates, exclusive event information, and also information about Super Supplements sales. Another good way to connect with the brand is to join them on social media networks. They can be found on Twitter, Facebook, and LinkedIn. The SuperSupplements website is divided into many categories. Customers can browse by categories, health topics, brands, ingredients, dietary needs, and proteins. The search bar makes browsing even easier. Users can filter results and sort them by price, bestsellers, new arrivals, most viewed, most reviews, and alphabetically. Users can sign up or checkout as guest. Users who sign up will have their information and order history remembered. This is extremely useful for frequent shoppers and for those who wish to re-order products they have ordered in the past. Want to cut down on the price of your SuperSupplements purchases? Coupofy Coupons can do just that! 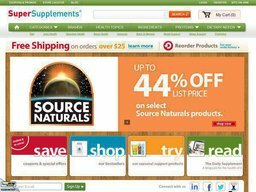 We get all of the latest SuperSup.com coupon codes so you can improve your health without breaking the bank. Just browse our SuperSupplements section and click on the code you want to you, and it will be copied to your clipboard while we transfer you to the site. It is unlikely your preferred method of payment will not be accepted. As soon as your order is shipped, you will be provided with a tracking number to track the status of your package. When it comes to saving money, you certainly have an easy way to do so. All you need to do is use a Super Supplements coupon code when shopping online. Simply enter the unique code on the checkout page, apply it to your current order, and watch the price drop. SuperSup.com provides a vast inventory of health care products at low prices. Currently, shipping is available to all fifty U.S. states, including Hawaii and Alaska. 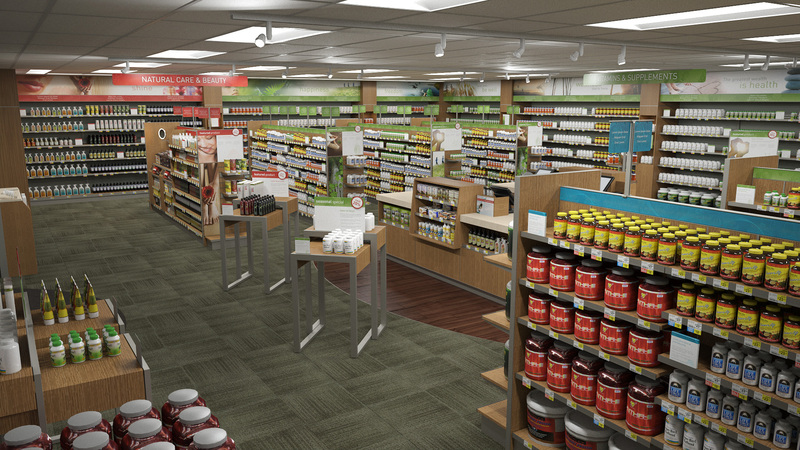 Users can also decide to have their products delivered to a store and pick them up there if they are located close to a SuperSupplements store. Free ground shipping is offered if the on orders over $25. Ground shipping on orders under $25 is $5.99. Customers can also pay an additional fee for priority or express shipping and receive their packages at a much earlier date. Shipping to stores is free on all orders. Customers unsatisfied with their purchases may return the product within thirty days of purchase. Return shipping is not refundable. Unopened products will be refunded to the original form of payment and opened products will receive store credit. Exchanges and refunds are not available for food products.